Welcome to the September issue of Inside ATLAS.ti. In this issue we update you on what has been going on this summer in terms of software development and the partnerships that we have with institutions worldwide. We also share with you an interesting Best Practices article on literature reviews with ATLAS.ti by Elizabeth Pope, doctoral student at The University of Georgia, USA, as well as a Case Study interview with Camilo Sanz, post-doctoral scholar at the Department of Anthropology at the University of Michigan. Additionally, in this issue we include a list of the training opportunities on ATLAS,ti that are being offered in September and October of this year. I would like to dedicate a few words of gratitude to the beta testers who have been providing valuable feedback to the ATLAS.ti 8 for Windows development team as well as to all the researchers and academics who have supported us over the years. Your contribution has been essential in making the latest version of ATLAS.ti the best ever. Thank you! Finally, we are expanding our collaborative efforts with institutions and academics worldwide. We partner with consulting companies providing services in ATLAS.ti, professors teaching ATLAS.ti courses at their universities, and institutions offering summer schools in methodology. Just send us an email and we will discuss with you options for fruitful collaboration. ATLAS.ti 8 for Windows is Coming! ATLAS.ti 8 for Windows will be launched in October. To make ATLAS.ti even more powerful, enjoyable and user-friendly, we are incorporating the feedback and recommendations that beta testers have been providing. The beta test still continues, so if you are interested, please sign up from betatest.atlasti.com. ATLAS.ti 8 for Windows comes with a set of important new features, such as the ability to import Evernote documents, Twitter posts, and bibliographic data from your favorite reference manager software (e.g., EndNote, Mendeley, Zotero). Meanwhile, existing tools and procedures have been improved and expanded. Examples of this include the word cloud and word list, the project searching tool, the Query Tool and networks. Now, word clouds and word lists can be generated in relation to the quotations linked to a selected code or to an individual selected quotation, opening up new avenues for discourse analysis. The former Object Crawler, now known as 'Project Search,' allows for richer exploration of text across the entire project (i.e., documents, groups, codes, quotations and networks). The Query Tool has become more intuitive than it was in earlier versions of the software, making it easy to query the data in multiple ways. And the representation of relationships in the form of networks is now dynamic, allowing for a variety of layouts, and more attractive than it was before. ATLAS.ti 8 for Windows has a complete new interface design which will blow your mind. The modern new look makes it easier than ever to navigate through your data. And best of all, ATLAS.ti licenses purchased after April 1, 2015 qualify for a FREE UPGRADE once version 8 is released. So there is no need to wait - start your analysis today, and switch to ATLAS.ti 8 for free later. Join us on October 17th at 12:00 pm EDT for the first ever overview webinar of ATLAS.ti 8! 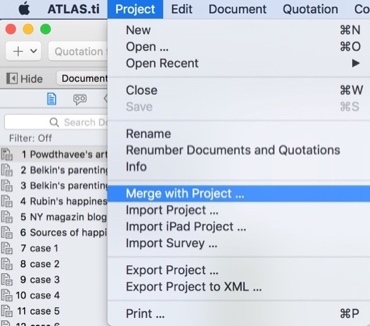 ATLAS.ti Mac now allows for team collaboration in analysis. 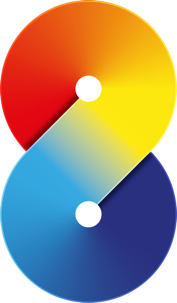 With the recent release of the merging function, it is now possible for researchers to work on different documents or tasks of analysis simultaneously but independently from each other. Once ready, the projects are merged together so that the work from all team members will be available in a single project. To learn more about this useful function, please take a few minutes to watch this video tutorial. ATLAS.ti will be exhibiting this year at two important public health conferences in the United States. On October 10th and 11th, we will exhibit at the 72nd Oregon Public Health Association Conference, in Corvallis, Oregon. The event brings together academics, practitioners and decision-makers of Oregon and the United States northwest to discuss public health issues and share research insights and findings. Additionally, on October 29th to November 2nd, ATLAS.ti will be exhibiting at the American Public Association (APHA) 2016 Annual Meeting and Expo, in Denver, Colorado. The APHA conference brings together around 12,000 researchers and practitioners from the United States and around the world. Look for us in Denver! For the second year in row, ATLAS.ti has supported The Maxwell School's Summer Institute for Qualitative and Multi-Method Research (IQMR) at Syracuse University, USA, which took place this summer between June 13 and 24. Since its founding 14 years ago, the institute has sought to enable participants to create and critique methodologically sophisticated qualitative research designs, including case studies, tests of necessity or sufficiency, and narrative or interpretive work. More than 1,800 graduate students and junior faculty have attended the Institute through the years. This year, Dr. Robert Rubinstein, Professor of Anthropology and International Relations, taught an ATLAS.ti workshop at the Institute. To learn more about this important initiative, visit the Institute website here. We are proud of this partnership and look forward to continuing it into the future. 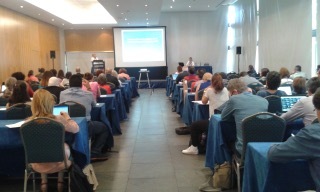 ATLAS.ti was the proud sponsor of the 8th International Conference on Education and New Learning Technologies (EDULEARN16), which took place in Barcelona, Spain, between July 4th and 16th. EDULEARN is one of the largest international education conferences for lecturers, researchers, technologists and professionals from the educational sector. This year, 700 researchers from 70 countries participated in this important event. Academics and researchers visited our booth, where they learned about ATLAS.ti and the many training resources we make available to the international community of users. ATLAS.ti was represented at the event by Jörg Hecker (Director of Business Operations), Neringa Kalpokaite (Manager of International Projects) and Ivana Radivojevic (Project Coordinator). It was a wonderful experience, and we were happy to meet people from so many different parts of the world! To learn about this conference, click here. ATLAS.ti co-sponsored the 5th Annual IPSA-NUS Summer School for Social Science Research Methods which was held at the National University of Singapore, Singapore on July 4th to 15th, 2016. 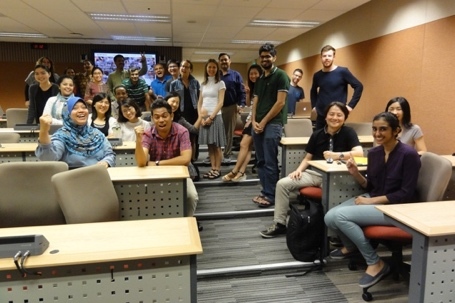 The IPSA-NUS Methods School offers rigorous training with outstanding and highly experienced international faculty in a wide range of social science research methods. 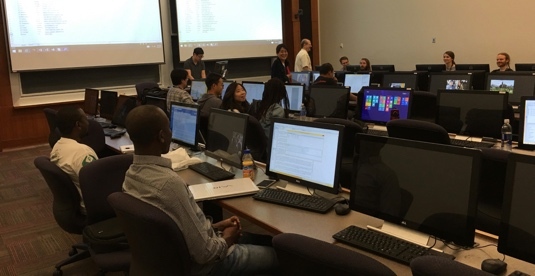 Students, post-doctoral fellows, junior faculty, civil servants, professionals, and everyone with an interest in research methods can choose from a wide variety of quantitative, qualitative, and formal methods courses and benefit from intensive, hands-on coursework over a two-week period. On July 3rd, 2016, our certified professional trainer Mohd Zairul Mohd Nor represented ATLAS.ti during the opening exhibition. The ATLAS.ti table received overwhelming response from the Summer School delegates. Our Manager of International Projects Ani Munirah Mohamad taught a half-day workshop on July 11th, 2016 to a class-full of 40 Summer School delegates. 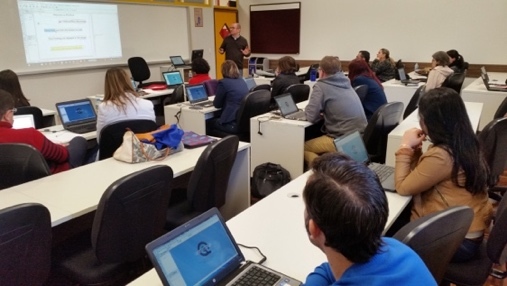 In early August, the graduate program in Education, Health Technololgy and Administration, at the Catholic University of Paraná (PUCPR), Brazil, hosted the ATLAS.ti team for a week of seminars and workshops on our software. Our manager in Latin America, Luis Alfredo Loaiza, taught the software to academics and researchers from this and other Brazilian universities, moderated discussions on using software in qualitative data analysis, and met with graduate students working on their theses and dissertation projects. Our appreciation goes to Dr. Dilmeire Sant'Anna Ramos Vosgerau for making this event possible. More exciting events in partnership with PUCPR are coming up. Stay tuned! In this issue of Inside ATLAS.ti, Elizabeth Pope, doctoral student at The University of Georgia, discusses the use of ATLAS.ti to conduct literature reviews. 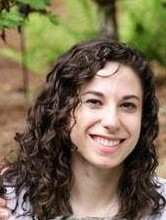 In this article, Elizabeth says: "As a doctoral student at The University of Georgia (UGA), I have the opportunity to learn from, and work with internationally known and highly skilled qualitative researchers. One of these scholars is Dr. Trena Paulus whose expertise with digital technologies and qualitative research is renowned. In the fall of 2014 I took QUAL 8410, "Designing Qualitative Research," with Dr. Paulus and was introduced to ATLAS.ti for the first time. As I was planning to begin my own research with my literature review the next spring I was immediately attracted to the program and the thoughts of carrying out a paperless literature review. In the spring of 2015 I met with Dr. Paulus and she taught me the basics of ATLAS.ti so I could begin my literature review with the program." 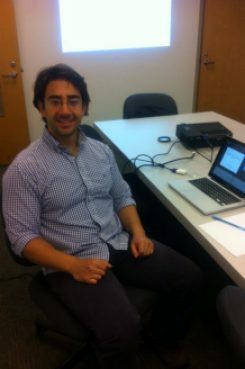 In this issue of Inside ATLAS.ti, we interview Dr.Camilo Sanz, a post-doctoral fellow in the Department of Anthropology at the University of Michigan, United States. Dr. Sanz provides research and administrative support as well as project development for Professor Elizabeth Robert's ongoing investigation, Mexican Exposures. He has been using ATLAS.ti less than a year. ATLAS.ti offers a variety of resources that facilitate the learning of the software. These include a complete library of video tutorials, weekly webinars, workshops, as well as a set of manuals and how-to documents.All our learning resources can be accessed here. For more information, please contact us. If your organization is evaluating ATLAS.ti, or if you want to introduce it to your students or at a professional meeting, schedule a presentation with one of our instructors. We will be happy to tailor the presentation to your needs. To schedule a presentation, pleasecomplete this registration form. For group demo webinars in Spanish, complete this form. This time, we want to highlight the face-to-face workshops scheduled for September and October 2016. If you teach ATLAS.ti courses and would like to list them on our website, let us know. September 8th and 9th. Introduction to ATLAS.ti 7 Windows, Chapel Hill, NC, USA. Click here . October 5, 6 and 7. Qualitative Analysis with ATLAS.ti Mac-Small Group. Corvallis, Oregon. Click here. October 7 and 8. Introduction to ATLAS.ti 7 Windows. Athens, Georgia. College of Education, The University of Georgia. Click here . October 15. Introduction to Qualitative Analysis with ATLAS.ti 7 Windows. Kelowna, British Columbia, Canada. Institute for Qualitative Methodology (IIQM). Click here . October 16. Advanced ATLAS.ti. Kelowna, British Columbia, Canada. Institute for Qualitative Methodology (IIQM). Click here . October 19, 20 and 21. Qualitative Analysis with ATLAS.ti 7 Windows. Corvallis, Oregon. Click here. October 22 and 23. Practical Qualitative Data Analysis with ATLAS.ti. Berkeley, California. Center for Ethnographic Research (CER)-University of California, Berkeley. Click here. September 6. Einführung in ATLAS.ti (Win and Mac). Wedemark, Germany. Qualitative Research & Consulting. Click here. [This course will be taught in German]. September 12 and 13. ATLAS.ti for Starters. Rotterdam, Netherlands. Evers Research & Training/Erasmus University. Click here. September 16. Análisis de datos con ATLAS.ti: desde las bases hasta la generación de resultados. Madrid, Spain. Click here . [This course will be taught in Spanish]. October 24. Analysetools. Wedemark, Germany. Qualitative Research & Consulting. Click here. [This course will be taught in German]. September 9 and 10. Qualitative Analysis with ATLAS.ti 7 Windows. Selangor, Malaysia. Click here. October 7. Literature Reviews with ATLAS.ti 7 Windows. Selangor, Malaysia. Click here.